What if everyone felt accountable in the fight against breast cancer? At Wilbur-Ellis’ Chester, South Dakota, branch, employees no longer have to wonder about that question, because they already know the answer. Leading a coordinated effort involving suppliers and local community groups, the Chester team has successfully generated donations of tens of thousands of dollars to organizations on the front lines in the fight against breast cancer – all by using the power of pink. We’re just as proud of our Wilbur-Ellis Chester team this year as we were when they premiered the Start Strong, Stay Strong program in 2015. This growing season, we were able to raise another $11,100, bringing our four-year grand total to nearly $40,000. 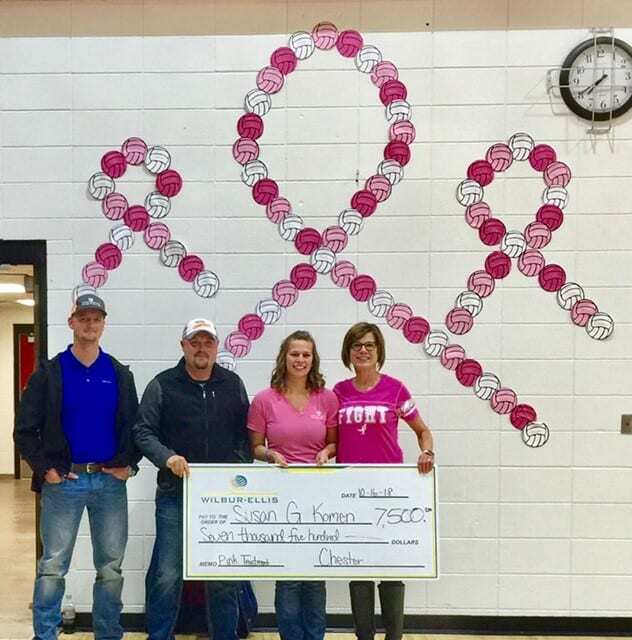 One-hundred percent of these funds will again help support our friends at Susan G. Komen and the Moody County Team of Angels, proving that building a culture of accountability and service really can make a powerful difference in people’s lives. 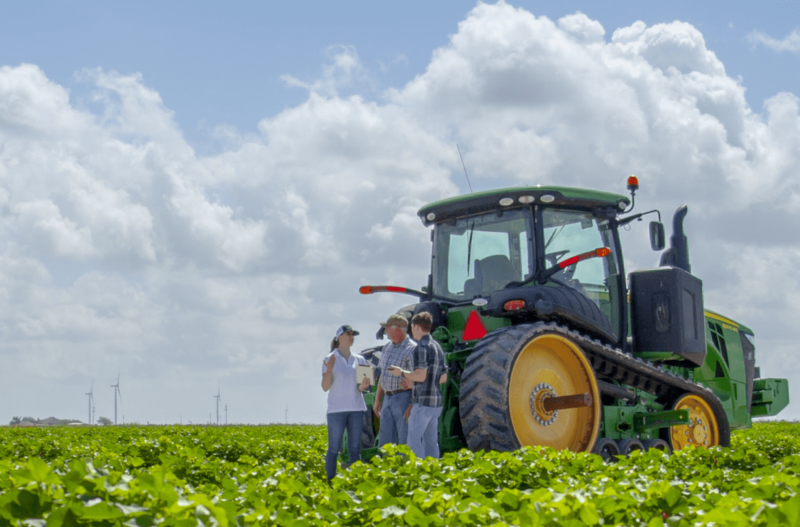 Our Wilbur-Ellis Chester team launched the program in 2015, and had initially planned to donate 10 cents per unit of soybeans sold for the season. But when our suppliers heard about Start Strong, Stay Strong, they volunteered to match our contributions. With the help of their generosity, our team was able to triple the donation to 30 cents per unit. At the end of the 2015 season, we raised a total of $10,000 through soybean sales and an additional donation from sales of our STEPUP seed treatment product. We chose to distribute these funds to two deserving local organizations that conduct breast cancer research and awareness programs throughout our communities. The first was the Edith Sanford Breast Foundation, which provides research, prevention, detection, treatment and care services to those affected by breast cancer throughout South Dakota, North Dakota, Minnesota and Iowa. The second was the Avera McKennan Foundation in Sioux Falls, South Dakota, whose mission is to provide the best quality care to breast cancer patients and their families, regardless of their ability to pay. With powerful results like that, we knew we had to keep this soybean service program growing. In 2016, our Wilbur-Ellis Chester team, suppliers and the Chester High School Lady Flyers volleyball team joined forces for this great cause. With coordinated efforts throughout the season, the Start Strong, Stay Strong program raised a total of $8,500. Part of this money went to support Susan G. Komen, the world’s largest nonprofit source of funding for the fight against breast cancer, which used these donations to support their research, community health outreach, advocacy and educational programs in more than 60 countries around the world. Our donations also went to the Moody County Team of Angels, a local organization formed to help cover travel costs for Moody County residents being treated for cancer. Through last year’s Start Strong, Stay Strong efforts, our team and our generous partners were able to raise another $10,000 to help support Susan G. Komen and the Moody County Team of Angels – organizations that are working every day to help those diagnosed with and affected by breast cancer. 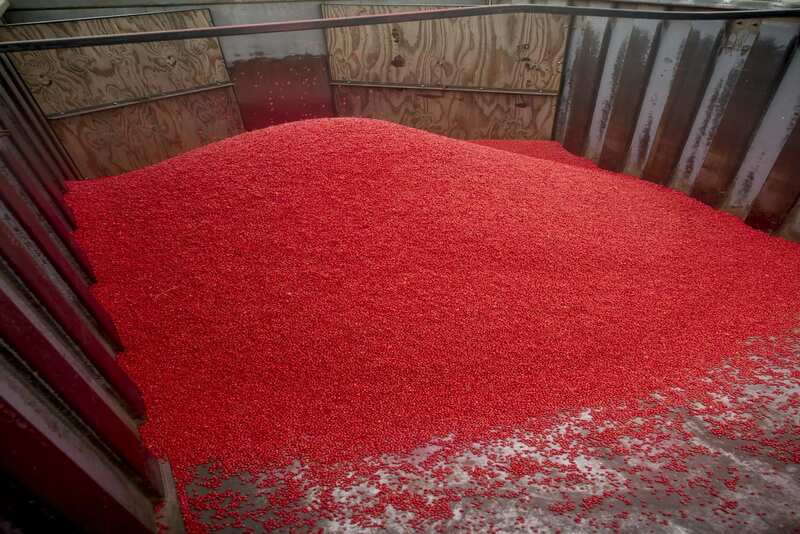 Their passion is infectious and it’s passion that powers our pink-dyed program. Wilbur-Ellis employees know they have a deep, shared responsibility to serve their communities. It’s a value that runs through so much of what we do. You can see that passion for service in smiles like the one on Mike Blum (left), Wilbur-Ellis Chester team member, as he presents the 2017 funds to Marty Skroch, a board member of the Team of Angels Foundation. All of us at Wilbur-Ellis are as proud as Mike because we get the chance to serve organizations that are improving both the present and the future for those affected by breast cancer. We believe we can make a difference when we put our IDEAS into action. Integrity, Diversity, Effort, Accountability and Service aren’t just our company values; they guide the way we give back to the people and communities that mean so much to all of us. That’s the power of service. That’s the power of pink.